Growing Smiles aims to make a difference in the lives of people residing in the communities they serve. 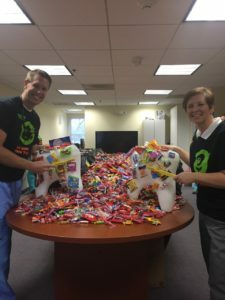 Whether it’s donating dollars through sponsorship, providing dental health screenings and supplies, hosting a collection drive, visiting schools and preschools, or spending time working as volunteers–the staff of Growing Smiles is working to improve the oral health of children in need, in Harford, Baltimore, and Cecil Counties. Growing Smiles supports these and other local and national charities with direct donations and/or participation in fundraising events and campaigns. Growing Smiles also serves as a program partner for Reach Out and Read.